As an HR professional, our key job is to attract, retain and grow human capital. However, to do that, it would be an added advantage if we have an exposure to other functions i.e. Finance, Sales, Marketing, Quality etc. 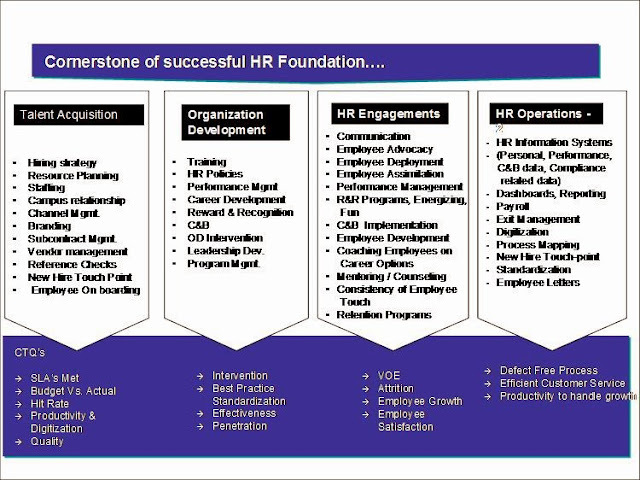 There are 4 key part of HR value chain as outlined in the picture i.e. Talent Acquisition, Organizational Development, Employee Engagement and HR Service Delivery which includes entire spectrum of HR transaction including compliance with law of the land. To build successful career in HR, it is imperative that we build depth and breadth in each of these and subset of these strands and deliver consistently on defined CTQ's (Critical to Quality). If we skip any of these and somehow manage to reach to leadership positions in HR, we will find it difficult to strategize and even if we strategize, it would be difficult to visualize the entire execution phase. Most of strategies fail not because they lack perspicacity and sound judgement on the part of strategist, however, they fail as it is difficult to execute them and the person who strategize without going through the rigmarole, fails to anticipate the bottlenecks in execution. I have seen HR People more willing to do employee engagement / Organizational development related roles and shy away from gettting their hands around transcational spectrum of HR which is a backbone of any HR organization. In my view, aspiring HR professipnals must build the efficiencies, depth and breadth around all these strands. This will help them in the long run and catapult them into "hands on" HR leaders where they will not demand, however, command the respect of their staff. I have gone through both the articles and found them interesting and realistic. However, after reading these articles, few doubts have hit my inexperienced mind. Ergo, as a future HR leader aspirant, I seek your help on clearing these doubts. As per you we should spend some quality time in all the four key parts of HR value chain. However, if we look from the organization’s stand point then we will find that the organizations are not too comfortable in changing the roles of the employees who are performing reasonably well in their existing role. The simple reason for this reluctance is that removing a critical resource from a critical role can introduce vulnerability in the function. Now this risk can be calculative but the risk is there. The core objective of any organization is to expand the business and increase the profit. To achieve this objective, any organization would like to use the best available resources with the relevant expertise at any given point in time. Now from the employee’s perspective, this becomes a challenge. If an employee is doing well in the current role then the change of role never seems to be on the cards. This makes him/her restricted to only one key part of the HR value chain. Also, to build the required depth and breadth, I think one needs to spend at least 18 to 24 months in all the sub-verticals of HR at execution level. This means that to cover all the sub verticals one would require 6-8 years before taking over a managerial position. However, in the current scenario it has been observed that the employees are attaining the managerial position in the first five years of their career. Now, two thoughts can be derived from this situation. One, these young managers spend only 10-12 months in each sub vertical, which seems unlikely. Two, these managers have got a good exposure in only a couple of sub verticals, which seems probable. The question which comes out of these thoughts is that how feasible it is to give a responsiblity to these young mangers of a new sub vertical altogether. Sir, these were my doubts and I request you to kindly clear them and help me guide and follow the correct path to become a HR leader. The great organization looks beyond obvious and ensure that they play a critical role in developing the potential of its employeee as they see and view their employees as human capital on which successful foundation of their edifice stands. To do that, they go out of comfort zones and play a critical role in building employee capabilities. This also depends on employees and i suggest that young folks like you should take a charge of your own destiny and it would be prudent to ask for such opportunities after proving your mettle in the given sub strand of HR. I can use my own example. Forget about the HR strand, i came from Operations to HR and of course found some resistence before i got a chance. The question i was asked - "you are doing so well in operations, what is the motivation + what will you if i do not give you this opportunity? and my answer was -....+ if you don't give me opportunity, somebody else will and that is the way i have thought of and planned my career! The key thing here is clarity of thought, confidence, persistence and upfront communication to your leadership evincing your interest. Most of the organization are realising the importance of cross functional learing and they can not do without providing experiential learning to their staff in different strands as it help them create strong succession / back up plan. In essence, to build strong leadership, all four corners of foundation needs to be strong. Dear Raj, you are right. But, it rarely happens that one is able to break the mindset of the immediate leadership/line management. Even if you nurure yourself and finally appear in a position to take lead but you are denied his right. Supervisor or Managers think that they have developed their team members and their development will be a threat to the Managers. This bottleneck remains there. Dear Raj, Can you recommend a book where I could see these four dimensions and have a composite scenario of their happening together. I will post some of my articles for reading. please give your comments. Well said, Raj. Thank you for the enriching post! 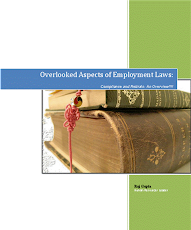 It is indeed quite beneficial if an HR professional has also worked in a different profile. I myself moved from Sales to HR and I truly believe that I bring an added value in developing strategic plans in my organisation, because I know what it will take for our Sales team to successfully execute these plans to deliver strong and sustainable revenue, profit and performance results. No learning experience ever goes waste!! So keep that learning curve going!! The perspectives of Raj and Mayank are different. 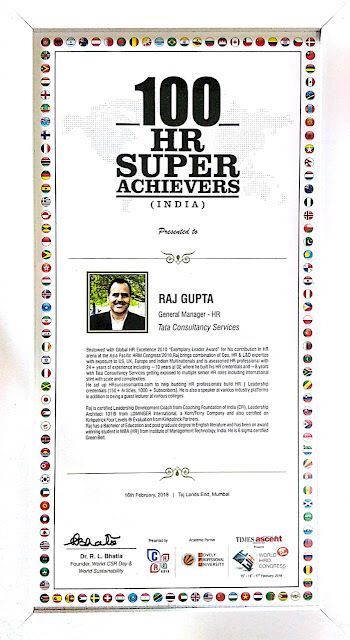 Raj has "migrated" into HR from a vertical. While as Mayank wants to be at home with other verticals while being in HR. 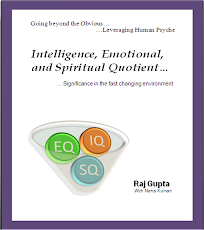 The comfort level of Raj would on the surface would be more because of his experience in at least one function i.e. operations, which he can bring into effect while being in HR. On the oher hand Mayank would not enjoy the same comfort while strategizing in areas other than core HR.Now my term core HR is misleading because HR by definition includes the complete workforce and as a consequence all verticals. This is the challenge for a HR entry. I would not blame the organization if lateral movements from one vertical to HR are more frequent than viceversa. Informative post! I really like and appreciate your work, thank you for sharing such a useful information about human capital management system strategies, keep updating the information, hear i prefer some more information about jobs for your career hr jobs in hyderabad .